Stunning chest restyle by Stephanie at Rehab to Fab! 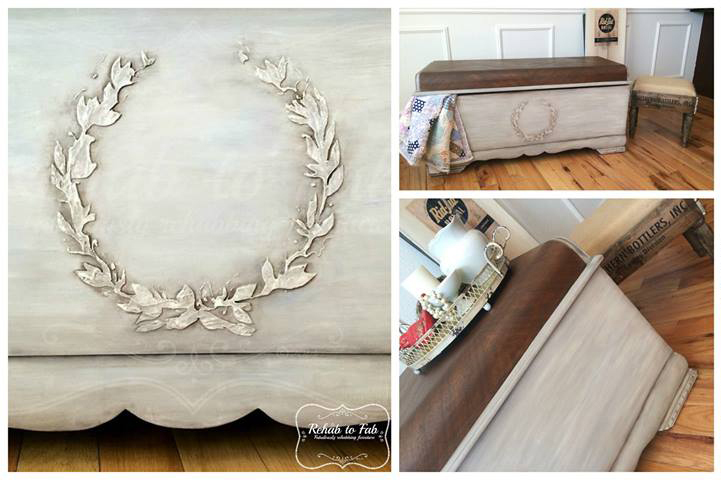 Steph used Antique Walnut Gel Stain and Heirloom Traditions paint on this beauty! Try our Seagull Gray Milk Paint for a similar style.